About Me: This is my fifteenth year working in the Gahanna Schools. Math has always been a passion of mine and I enjoy sharing my excitement for mathematics with teachers and students. I graduated from Capital University with a degree in Middle Childhood Education. I earned a Master's Degree in Reading Education from Bowling Green State University. I enjoy spending time with my family, rock climbing, hiking, running, and playing soccer. 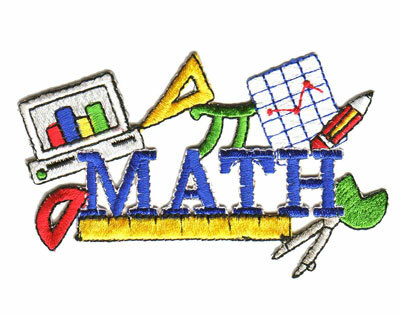 Please feel free to contact me with any questions you have about mathematics in the middle school. Also, I will be adding great resources to my portal to assist you in helping your child have a successful year in math. Make sure to check back soon! Students learn ideas more deeply when they discuss ideas with classmates. Students learn ideas more usefully for other realms when they learn by attacking problems, ideally from the real world. Students learn ideas more permanently when they are required to engage and re-engage with the ideas for months or even years. Your child will work in collaborative teams throughout the school year. In these teams, students will ask questions, share ideas, talk about mathematics, explain their thinking, work to answers questions, etc. Students will encounter productive struggle with the support of their team and teacher. CPM focuses on problem based learning with mixed, spaced practice. Mastery is built over time. Students will see concepts multiple times throughout the year in different situations or an increased complexity. Online Textbook: All students will have access to an online version of their math textbook.To access the eBook go to https://sso.cpm.org/. Students can login using their school google account, so long as they are already logged into this account. Homework Help: If students need help on assignments from their textbook, the links below will give students the questions along with support as they solve the problems. This feature can also be accessed directly through the eBook. Closure Assignments: Reminder that Closure assignments have hints/extra practice/answers at the end of a chapter to help assist students when they are completing these assignments. The Closure assignment are NOT on the homework help website.